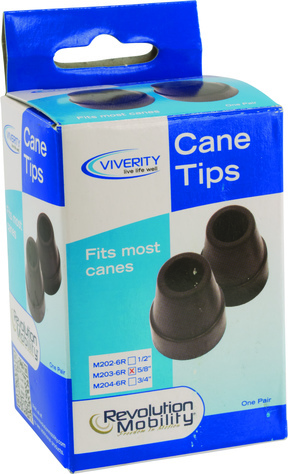 Cane tips should be checked frequently, and replaced as needed. Replacing a worn tip will ensure stability for the patient and prolong the lifespan of the cane itself. Be sure to always confirm the diameter size of the cane prior to purchasing to guarantee correct fit. 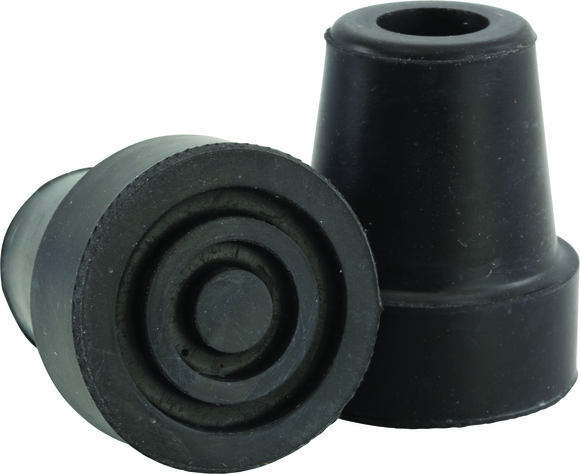 Black rubber tip slides right on to the end of the cane. Comes in attractive retail packaging.